The nonprofit K9s For Warriors has been pairing rescue dogs with traumatized soldiers since 2011. 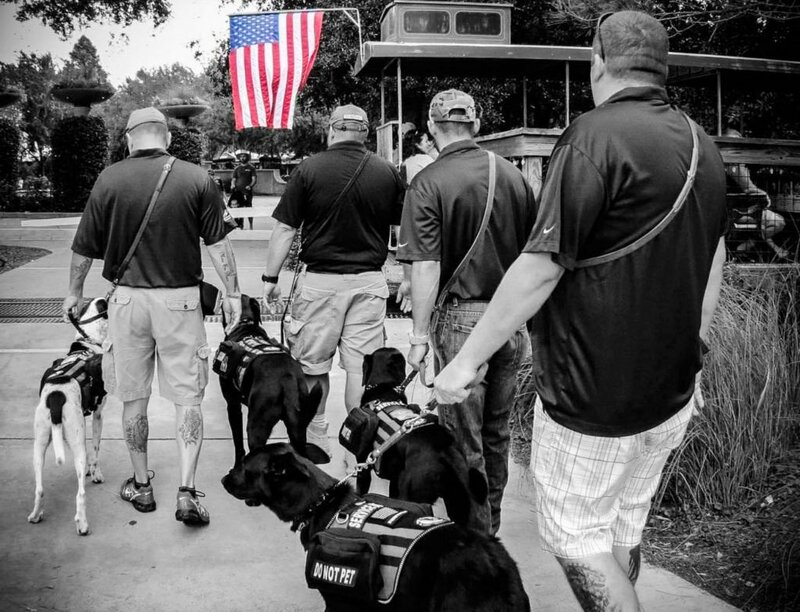 These service dogs perform tasks to quiet the symptoms of war trauma. According to a recent Rand Corporation report, 2.77 million service members have served on 5.4 million deployments since 9/11. Around 225,000 Army soldiers have deployed three times or more. 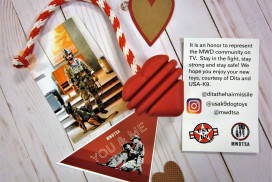 The Department of Defense reports approximately 173,000 active-duty service members received PTSD diagnoses in the military health system between 2000 and September 2017. Eighty percent of these diagnoses followed deployments of 30 days or more. PTSD, or Post-Traumatic Stress Disorder, is a mental condition that can develop after a person experiences a severe traumatic event such as warfare or sexual assault. Symptoms can include depression, night terrors, social embarrassment resulting in isolation, and more. The Department of Veterans Affairs (VA) notes that it is common to have upsetting memories, increased anxiety, or trouble sleeping after a traumatic event. However, if these reactions persist or worsen, an individual may have PTSD requiring medical care. Traditional treatments with medications and talk therapy help some soldiers but not all. 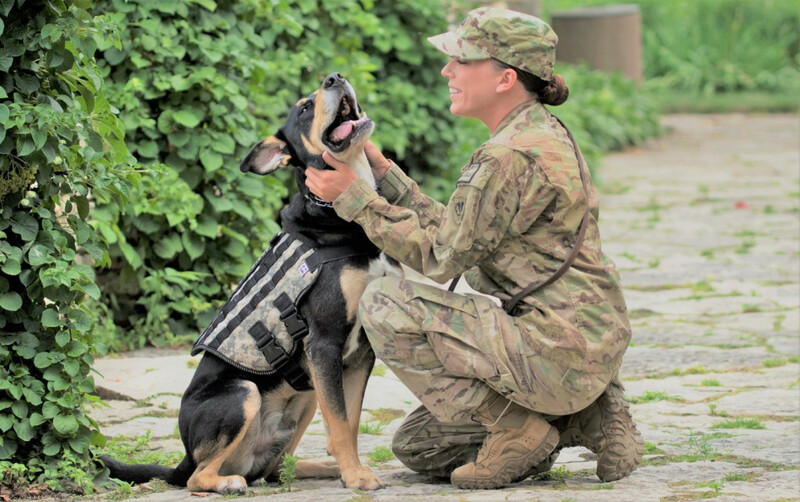 A recent Purdue University study found that PTSD symptoms were significantly lower in veterans with service dogs. National Institutes of Health is funding a large-scale study on the efficacy of service dogs as a complementary treatment of PTSD symptoms in military members and veterans. The results will be available in 2019. Rather than tackling just one challenge—providing support for soldiers with PTSD—K9s For Warriors is addressing a second crisis, too. According to the American Society for the Prevention of Cruelty to Animals, 670,000 dogs are euthanized each year in the United States. K9s for Warriors is rescuing these shelter animals, providing extensive training, and matching them with soldiers who are seeking support. It takes K9s For Warriors six months to train a dog. They currently train a total of 120 dogs per year. They rescue most breeds except full-bred Pitbulls, Dobermans, Chow Chows, Rottweilers, or Dalmatians due to insurance restrictions or state sanctions. “K9s For Warriors sees two battles: fighting the past of the dog and fighting the past of the warrior. We’re saving two lives here,” says Brett Simon, war veteran with PTSD, former K9 police officer, and founder Shari Duval’s son. The K9s For Warriors program trains rescue or shelter dogs to perform four specific tasks: averting panic attacks, waking warriors from nightmares, creating personal space comfort zones in public situations by standing in front of the veteran (barrier), and reminding warriors to take their medications. Dogs also learn two other commands: brace and cover. Many warriors suffer physical disabilities, too. So, the brace command prepares the dog to assist the warrior with standing, sitting or kneeling. The cover command is used to cover the warrior’s back. As of October 2018, the K9s For Warriors program has rescued 940 dogs and 489 military service members, with an astounding 99% program success rate. 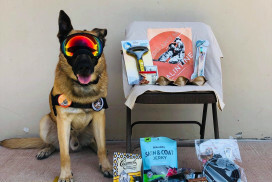 To learn more about K9s For Warriors, ongoing research, and stories of soldiers and their dogs, check out this recent full-length article.